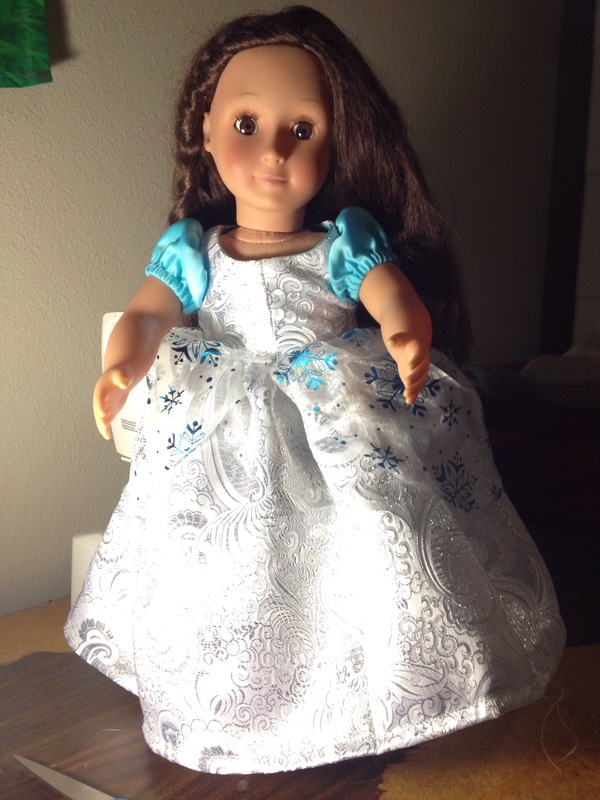 I have finally finished the dress for J’s doll using the leftovers from the Princess Dress I made earlier this year. 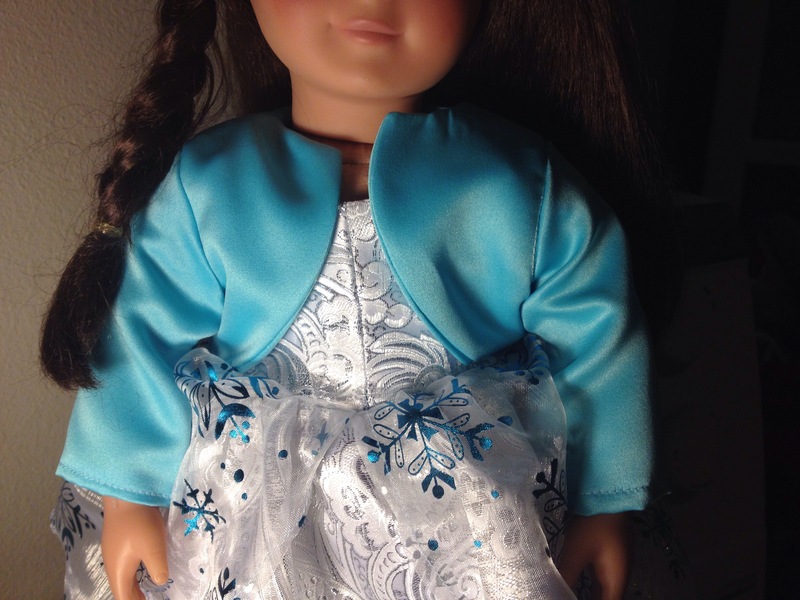 I used the Ariel pattern in the Simplicity pattern 1581 for this Wintery dress. I omitted the crown and the tulle underskirt. I also made a bolero to cover her cold shoulders. 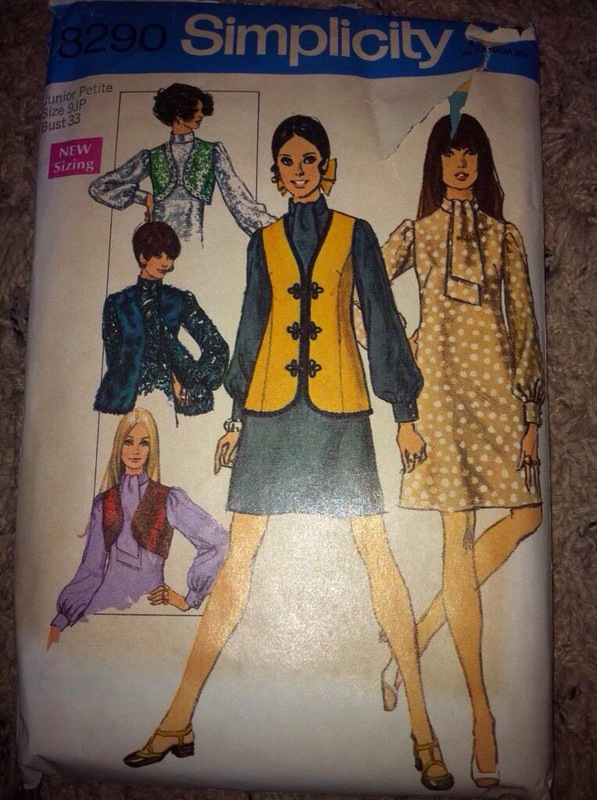 Here is my next inspiration: a pattern I was given in a box full of fabric, patterns, and notions still in their original store bags with receipts from the 1950s-60s! 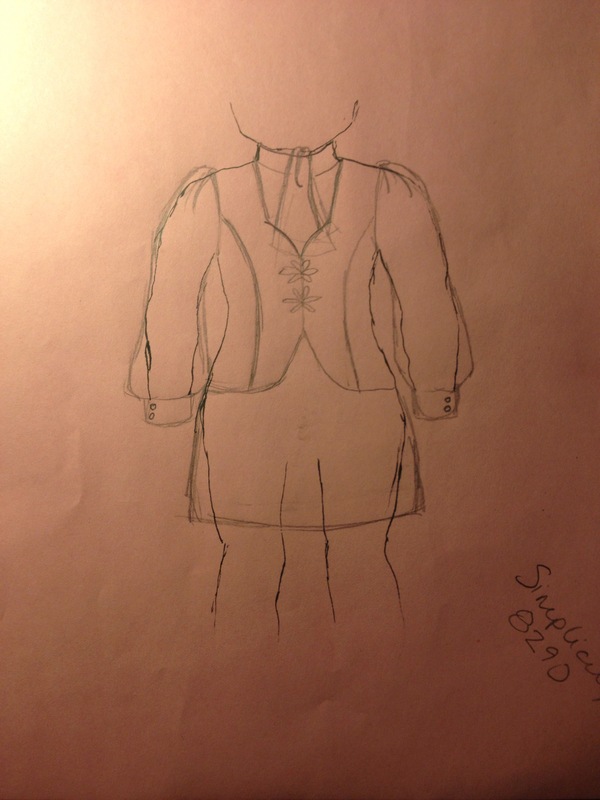 I have sketched out what I think it would look like on the doll. The dolls don’t have NEARLY as many curves as a woman but I think I can make it work.